Joe McHugh is originally from Derry, N.Ireland. 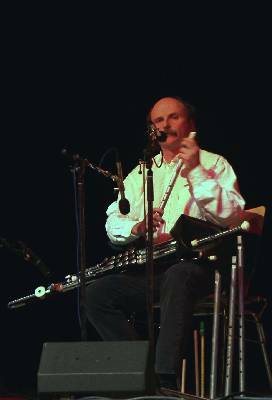 Since winning the coveted "All Ireland" Uilleann Piping competition in 1977, he has toured extensively world wide. He is not only a virtuoso piper but also an accomplished low whistle and tin whistle player. Over the years he has been quite busy as a composer of instrumental pieces and sound track music, and he has appeared in numerous films. "Colin Goldie's low and high whistles are just the best I have ever played."